UK Prime Minister Theresa May welcomed the ruling - which safeguards thousands of jobs in Northern Ireland. But it's seen as a blow to US President Trump's "America first" trade policy. Mrs May said it was "good news" for UK industry. The BBC's business correspondent, Theo Leggett, said the move came as "a big surprise" as "most analysts thought the odds were stacked against Bombardier". 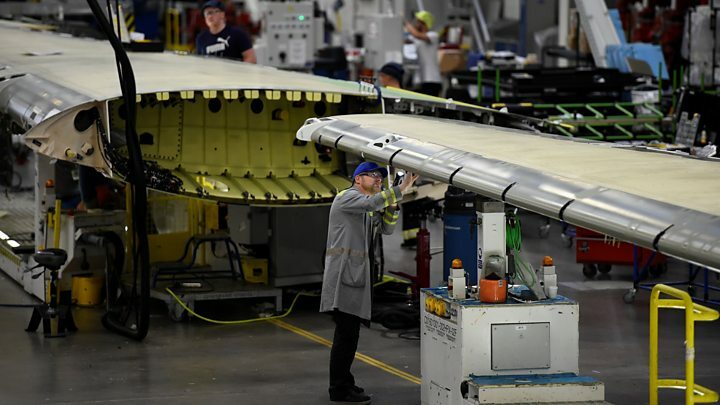 "It is good news for workers at Bombardier's Belfast plant, where parts for the C-Series are made, but it's also good news for Airbus, which took advantage of Bombardier's struggles to take a majority stake in the C-Series." A spokesperson for Bombardier said the ITC's decision was "a victory for innovation, competition and the rule of law." Image caption Steve Turner, Unite assistant general secretary said it was "the right decision"
"Its development and production represent thousands of jobs in the United States, Canada, and the United Kingdom." 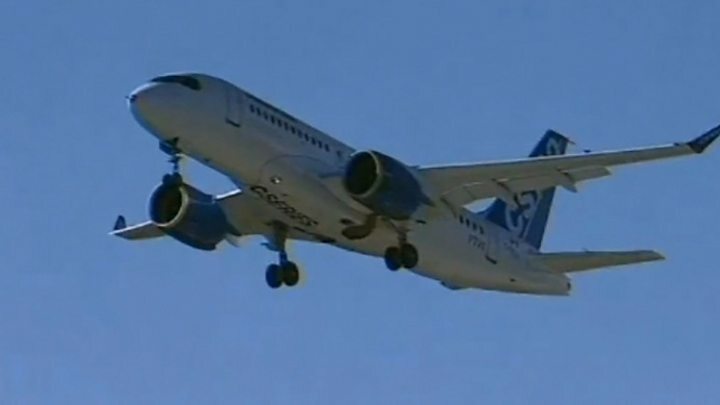 A spokesperson for Boeing said it was "disappointed" by the ITC's decision and that it would "review the detailed conclusions when they are released". Steve Turner, Unite assistant general secretary said it was "the right decision". He said Bombardier workers in Northern Ireland and throughout the supply chain in UK "will be breathing a huge sigh of relief". Business Secretary Greg Clark said it was "excellent news for the dedicated workforce in Northern Ireland and supply chain across the UK, who have a great future ahead". "The decision by the International Trade Commission confirms what the UK and Canadian governments working hand in hand has maintained from the outset, that this case is unjustified. We are pleased that the ITC have now recognised this," he said.